1. 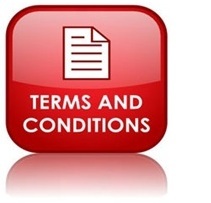 By using this website, you agree that you have read and understood the terms and conditions listed below. 2. Current legislation requirements are met and are intended to protect the customer’s shopping experience. 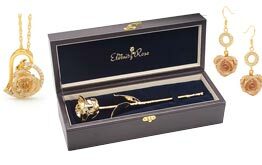 The Eternity Rose (referred to from here forward as TER), adheres to the laws of New York State, USA. 3.TER site is meant as a reference only for product information. Even though we are fastidiously careful with populating our website, human error is still possible. Any purchases which do not appear to be in accordance with the product information provided will be handled with care to quickly address customer issues; however, TER cannot provide guarantees based on site advertisements and photographs, and TER cannot be deemed responsible for imprecisions. 4. When you use TER site, you are agreeing that TER is not liable, whether it be direct, indirect, or consequential ensuing from inaccuracies in information outlined on the website, or other websites that TER refers to. 5. No prior notice is required for TER to change or modify any section of its website, including the terms and conditions. 6. TER orders will be subject to validation and authorization by its staff. 7. Accepted payment options are MasterCard, Visa and PayPal. 8. Full payment must be processed before any goods are shipped to the recipient. 9. Warranty claims will be handled with the utmost consideration, and in accordance with the law. The suitability, depiction, condition, appropriateness of goods or plan of products in relation to use, or quality of materials, design, or craftsmanship or other conditions are excluded. Physical and financial injury or loss of any type in relation to the product services including supply, layout, organization or utilization of the items delivered is not the responsibility of TER. 10.Order processing occurs within one to two business days after the order is received by TER. While speedy delivery is a priority, same day dispatching cannot be guaranteed. Exclusions to processing include nationally recognized holidays and Sundays. 11. Estimates of delivery times are not obligatory time frames that TER can or will be held accountable for. TER aims to issue accurate advisement of delivery schedules, but these are not contractual obligations. Whilst TER typically has goods in stock available for dispatch on that same or subsequent day following placement of an order, and carefully monitors the operations of its transport contractors, TER is not responsible for any damage, loss, or delay, resultant or otherwise, caused to a customer arising from delayed delivery of a product, nor will a customer have the right to cease or renounce the contract for purchase on any similar grounds. 12. In the event of refused or missed shipments, TER will not be held responsible for associated charges of such events. TER encourages the customer to verify the shipping address with an accessible person to accept delivered goods. The delivery service may be contacted to organize alternative arrangements, which will be the customer’s responsibility. 13. The customer will receive email notifications regarding the processing and shipment of the order. Upon shipment of the order, an email containing information on tracking will be sent. 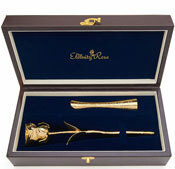 Additional information on an order may be found online by accessing the customer’s account information on the website. 14. Every effort is made to prevent backordered products from being sold on TER website. If TER becomes aware of an item not in stock, the customer will not be charged for such an item. Advisement of the time frame of product availability will be made known via email correspondence. The customer has the option to cancel the order to obtain a full refund, or wait until the product is available. 15. TER cannot guarantee that goods ordered will be matched to the customer’s intention for use or presentation configuration. TER highly advocates its customers to thoroughly research the product compatibilities before purchase. While TER will do its best to provide recommendations on compatibility of a product, the advice is intended as guidance only to assist in the customer’s research. If a customer discovers that an item has been purchased in error proceeding the receipt, TER may be contacted to request return within 90 days of the date on the invoice. If the goods are undamaged and the original packaging is maintained, products can be sent back for a complete refund. If the customer cannot provide the original packaging on return, or there is damage incurred to the packaging in any capacity, TER reserves the entitlement to charge a fee for re-packaging which is 25% or $20 per item (whatever is lower) to take care of the costs of the materials, handling and administration. Packaging and goods will be carefully examined by TER on return, and charges such as this will be incurred at the discretion of TER. Unfortunately, TER is unable to receive returned goods that have been damaged by the customer in any form. The payment for posting returns to TER is the responsibility of the customer. TER needs to be informed of erroneous deliveries within seven days of receiving the item, before the products are returned. For more information please refer to our Warranty Policy. 16. TER has been made aware of customers attempting to trial the resilience of the rose products, including the leaf and petal, and even attempting to penetrate the product surface using sharp instruments. 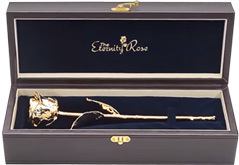 As advertised, the strength of a wine glass is comparable to the unique roses of TER, however, it is strongly encouraged that customers do not test the strength of the flower, as any such damages are not covered under warranty. 17. 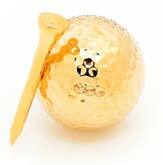 TER guarantees that all gold-plated products are covered in pure 24k gold with no impurities. 18. Claims for warranty and satisfaction-guarantee replacements are processed within 24 hours, but peak times may lead to a delay in this processing time. For example, Valentine’s Day and Christmas are peak period times when TER stock is consistently being ordered. Therefore, TER reserves the right to extend the replacement time frames, without any obligation or legal responsibility to the customer. 19. There are certain situations in which warranty or satisfaction guarantees by TER are not covered, including flood or other acts of God, display misfortunes, product mistreatment, or damage caused by the delivery organization. The customer is responsible for contacting TER within two days of receiving a damaged product. Damages are covered under insurance claims, and TER will process these as such. The customer does not have to pay for any damages occurred during transport. 20. Cancellations can be processed as long as the order hasn’t been processed and dispatched. 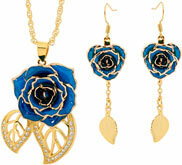 The customer must send an email to info@eternityrose.com as quickly as possible to attempt cancellation of the order. If the cancellation is processed, the full refund will be processed in 1-2 business days. 21. While all attempts are made to keep pricing on the website accurate and up to date, it is not guaranteed that an advertised special price will be applied. TER reserves the right to verify prices against stocked products, which may or may not match the prices offered on the website. Errors may occur and TER reserves the right to adjust prices as necessary. 22. Accuracy regarding pricing and product information is very important to TER; however, there are instances when human mistakes and other possible interactions can cause inaccurate information to be provided to the customer. Information can usually be verified as 99% accurate; however, in any event that an inaccuracy occurs resulting from an informational, technical, typographical, or other error, TER reserves the right to deny or annul any said orders, and to remove and/or correct the erroneous information. 23. TER reserves the right to update prices in accordance with stockholding at any time without notice. 24. The top priority of TER is the security of its customers. TER uses Geotrust 256 bit-encryption technology for all of its online transactions. TER prides itself on providing the most secure online shopping experience that there is available globally. 25. All personal information on customers released to TER is private and will not be sold or released for any reason. Personal information for orders placed will only be used for the purposes of processing the orders. Emails will only be sent regarding order updates or processing returns. Customers may also opt to receive newsletters and special offers. 26. The pictures on TER website are intended to be the most accurate representation of its products. However, TER advises the customer to acknowledge the likelihood of physical variation that occurs naturally between flowers of the same variety, such as shape. Whilst in nature, some variation can occur in the dimensions of a flower, we strive to restrict the degree of difference between the product pictures and the product that the customer receives to a 10% deviation band. TER does not take responsibility for the natural variance that may occur from flower to flower. The products are represented to the best ability of TER at the time of order placement. There are also other varying determinates that, although infrequent, may result in information on TER website to be outdated in the absence of immediate knowledge. These include, but are not limited to, color deviations, new versions, retail-package modifications, or other variations which are considered generally inconsequential by the majority of customers. 27. TER is proud to be deemed an industry-leading expert in the domain of metal electroplating, and considers itself to employ highly knowledgeable staff. However, TER cannot guarantee any assistance provided on display or technical advice. Please accept our staff’s advice as guidance only.